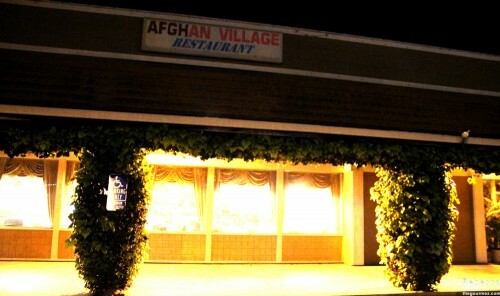 The husband and I ended up at Afghan Village after a quick Yelp search from the freeway when our hunger post-wine-tasting had reached critical levels. So that hunger may have influenced my opinion of the establishment, but honestly, I think Afghan Village just plain has amazing food despite mixed Yelp reviews. It’s located in a dark strip mall, and the restaurant was just starting to get patrons in the early evening, around 6 pm. Traditional, elaborate decorations adorn the walls. Gold, white, and red were the primary colors of the room. 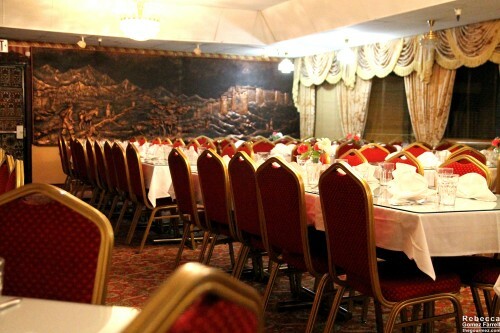 It gave of the vibe of a special occasion restaurant, the type where a large family would rent half the room for a birthday or wedding celebration—the two throne chairs in the center of the restaurant definitely contributed to that effect. The décor made the place seem vast when not filled, but it was pleasant to gape at, regardless. Service was prompt. Because of our hunger, an appetizer was a must. Those are potatoes pakora, and I loved them. 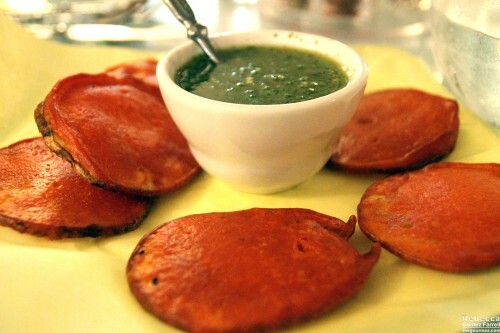 The spices in the besan flour batter made for an intriguing blend, and the cilantro chutney banished any potential for blandness. It was a healthy helping, too. Despite that glossy sheen, they didn’t taste at all greasy and had a crisp exterior. My entrée, kafta chalou, was just as delicious. 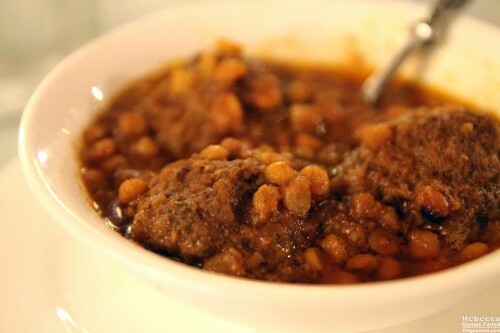 It’s a rich meatball stew with lentils served over rice. Those meatballs were more tender and moist than most Italian grandmas can achieve. Give me a flavorful sauce any day and I’m happy, and this one did not disappoint. Plus, it’s a near miracle that I enjoyed the lentils. I often find them too pasty in texture, but these gave a pleasant pop I enjoyed. 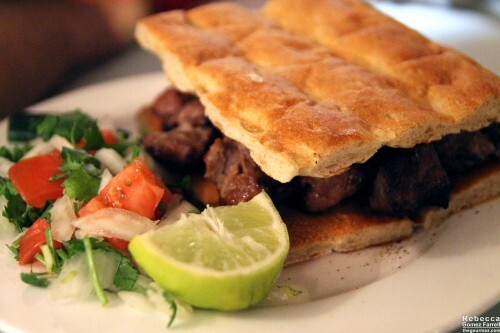 My husband had a lamb kebab sandwich that came with a small salad of tomatoes, onions, and herbs. I only took a bite of his lamb, but it was quite tender and mild in flavor, avoiding the off-putting gaminess that I sometimes take from lamb. Much like the lentils in the stew, Afghan Village knows how to make lamb just how I enjoy it. Liked I said, my stomach was primed to enjoy Afghan Village, and it did. Boy, did it. I am no expert in Afghan cuisine, have only had it maybe twice before, but I will remember how satisfied this meal made me for good long time. Next time, I’ll get dessert. By the pictures I would say that looks just about right on. Keep up the good work.